Add some snake print to your weekend wardrobe. 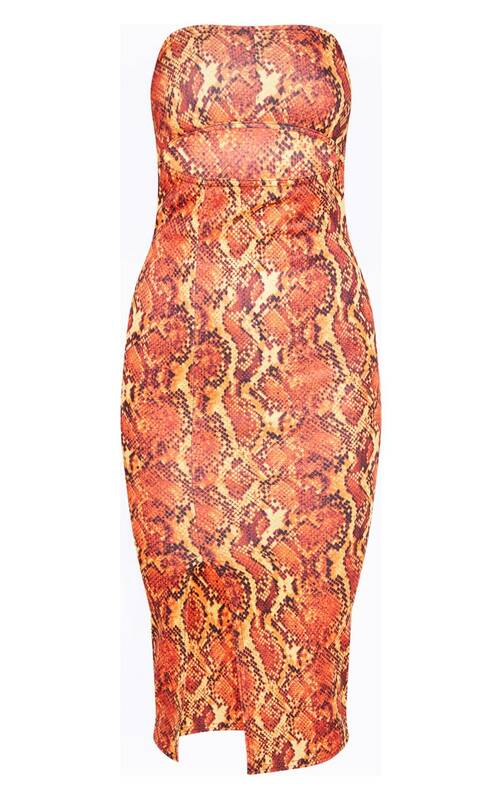 Featuring an orange scuba snake print material with a bandeau neckline, cut out detailing and split on the front. Team with strappy heels for going out 'out' look.